You can access power options through Action Center > All settings > System > Power & sleep but the options there are pitifully few. We will use the Power options in Control Panel. Right-click on Start > Control Panel > Hardware and Sound (if viewing by category) > Power Options. Balanced – This plan balances energy consumption and system performance by adapting the computer’s processor speed to your activity. 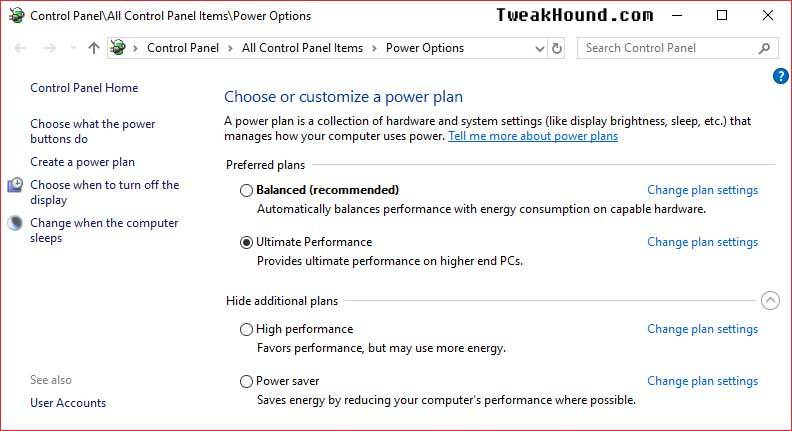 Power saver – This plan saves power on your mobile PC by reducing system performance. 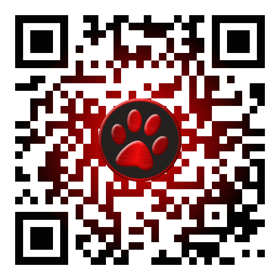 Its primary purpose is to maximize battery life. High performance – This plan provides the highest level of performance on your mobile PC by adapting processor speed to your work or activity and by maximizing system performance. Ultimate Performance – This new policy builds on the current High-Performance policy, and it goes a step further to eliminate micro-latencies associated with fine grained power management techniques. I use 3 plans: Ultimate Performance on the desktop, Balanced on a laptop, and Power saver on the laptop while traveling. Of course I make further adjustments to each. 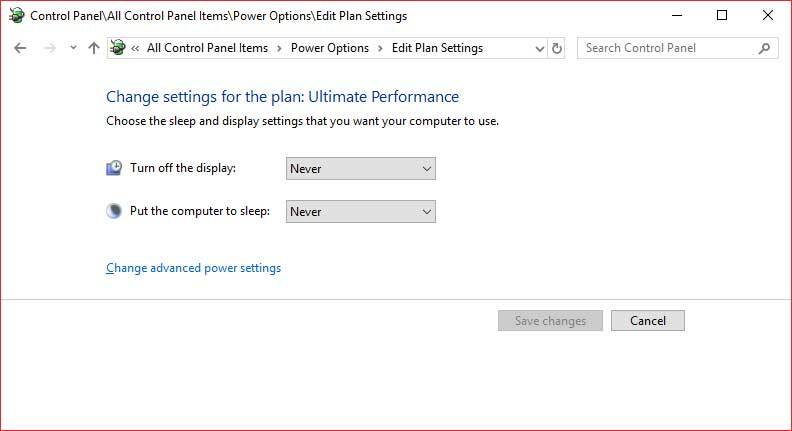 Windows 10 is configured by default with the Balanced power plan. While this is a safe middle of the road plan it is neither optimal for desktop performance for plugged-in performance or battery life for laptops. These settings are easily adjusted to your needs. –Sleep is a power saving mode that powers down your computer after a predetermined time. –Hibernate is a power saving mode primarily aimed at laptops. What it does is save your work and shut off the computer after a predetermined time. It does this by saving this work to hard disk. –Hybrid Sleep is a cross between Sleep and Hibernate designed for desktops. What it does is save your work and shut off the computer after a predetermined time. It does this by saving this work to both memory and hard disk. Hibernate and Hybrid Sleep by default create a file called hiberfil.sys that is 75% of your RAM in size. This can be a fragmentation issue for your hard drive (also, Windows cannot defrag this file though some third-party defraggers can). Although I do not consider it a major performance issue for most people (in the short term) it will also populate your RAM with these files. While all this makes booting up faster my observations are that Hybrid Sleep does cause performance issues long term as most systems I’ve dealt with tend to get sluggish over time. However, this is easily remedied by rebooting. It should also be noted that for a variety of reason hibernate / hybrid sleep has been known to cause many a folk no end of issues (Google search it). In the end Win10 boots fast and I do not believe the few seconds Hibernate / Hybrid Sleep saves you outweighs the aforementioned issues for desktops. IMHO it is better performance wise to just shut the computer off when you’ll be away from it. Press the Windows + R keys > type powercfg.cpl (this is Control Panel/Power Options). 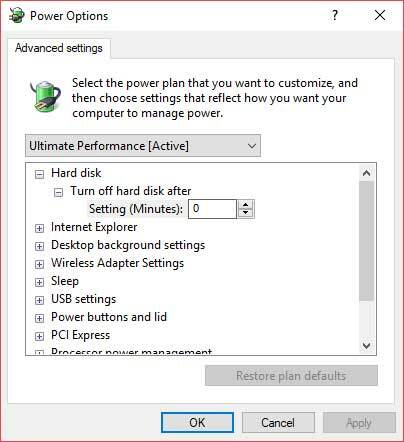 Win10 allows for 3 separate power plans (built-in). Configuring each plan according to your needs is easy, can increase performance while plugged in, and increase battery life while you are not. 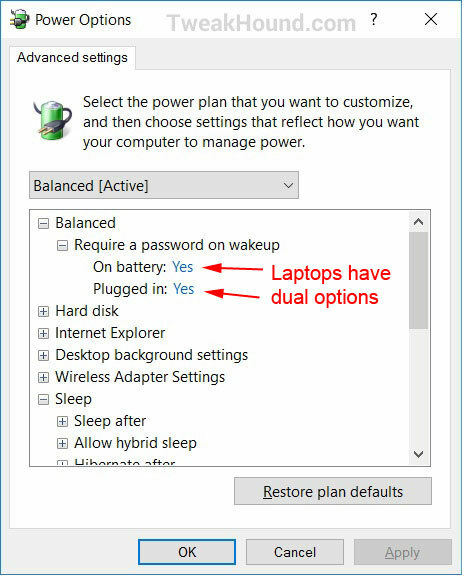 For Plugged in there is no reason not to disable/turn off all power settings (do not disable hibernate as mentioned earlier). For On battery how much you turn a setting up or down will depend entirely on how you use your laptop. You’ll want to play with these settings over time to fine tune it to your specific needs. There is a third power plan called Power Saver. These default settings are very low and I only recommend this when you know you are going to be away from a charger a long time. I understand some folks may find this feature helpful but I don’t. I want a lean, mean, fightin’ machine when I power up. I disable fast startup. 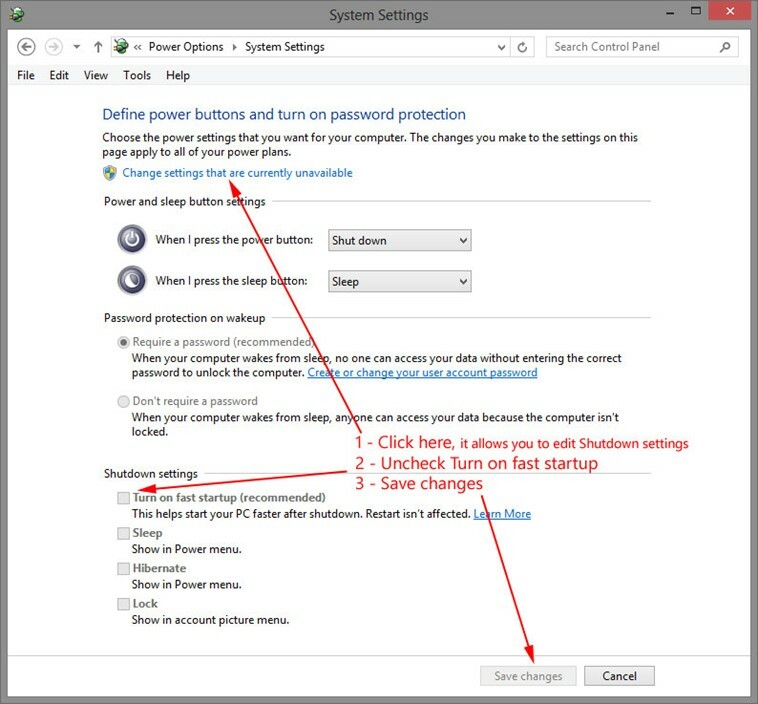 Press the Windows + R keys > type powercfg.cpl (this is Control Panel/Power Options) > click Choose what the power buttons do > click Change settings that are currently unavailable > uncheck Turn on fast startup > click the Save changes button. 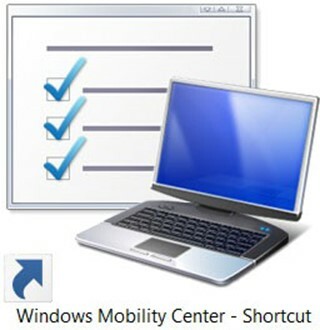 Add a Windows Mobility Center shortcut to your desktop. 1 – While in Control Panel (view – Large icons) drag the Windows Mobility Center icon to the desktop. Optionally type a different name for the shortcut > click Finish.